According to yogic science, there is an intimate relationship between the physical health and the mental health. Physical relaxation will surely bring mental relaxation and mental relaxation will surely bring the physical relaxation. The yogic science considers physical body and mind as one entity, not as separate entities like modern science. All of us have this experience that sometimes we sit for meditation and we are able to meditate but there are days, when we are not able to do it even after trying it very hard. When we analyze deeply, we realize that if our mind or body is disturbed and we are not relaxed physically and mentally, we cannot meditate. A relaxed body and mind is the first prerequisite for meditation and we should understand that relaxation is an art and we have to make conscious effort to relax ourselves. Just simply closing the eyes or diverting our attention from the disturbance does not suffice relaxation. We have to relax our selves systematically and yoga has developed very scientific and precise basic relaxation techniques like Shavasana, advasana, jyeastikasana, makarasana etc. as well as some advance methods like yoga nidra etc. 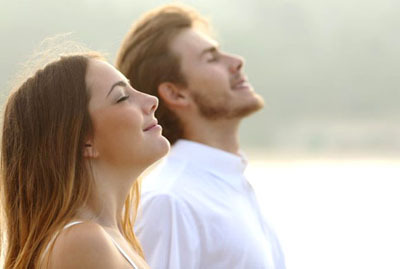 which not only help you to get relaxed completely but also help you in increasing the level of your awareness. We should not underestimate the value of relaxation and learn it in systematic manner and make it part of our daily practice to experience the difference it can make in our meditation practice.